Streamline device setup by automatically configuring settings with Apple’s Device Enrollment Program (DEP). 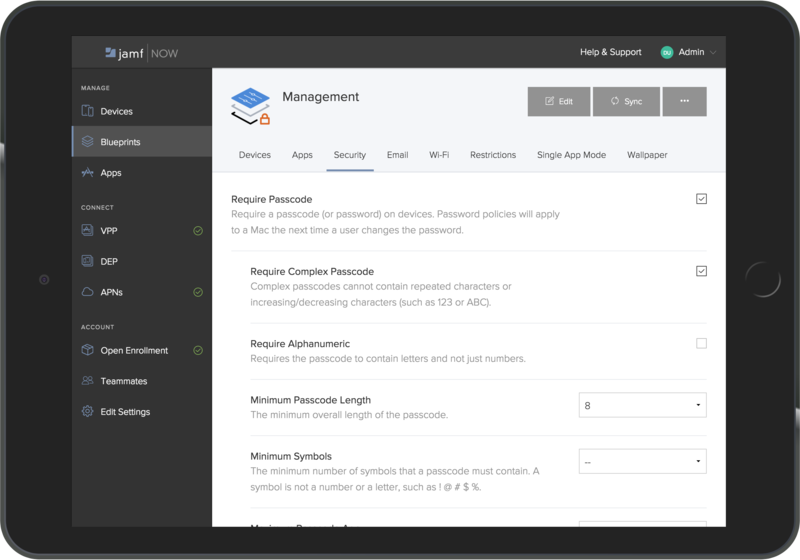 Simplify device management by deploying apps in bulk, pre-configuring email and WiFi settings, and locking devices into a single application for special use cases. Secure iOS and macOS devices with password requirements, functionality restrictions, and the ability to remotely lock or even wipe a device. Apple device management can be time-consuming work, especially if IT is not your day job. Make iOS and macOS device setup easy, so you can spend your valuable time doing other work. 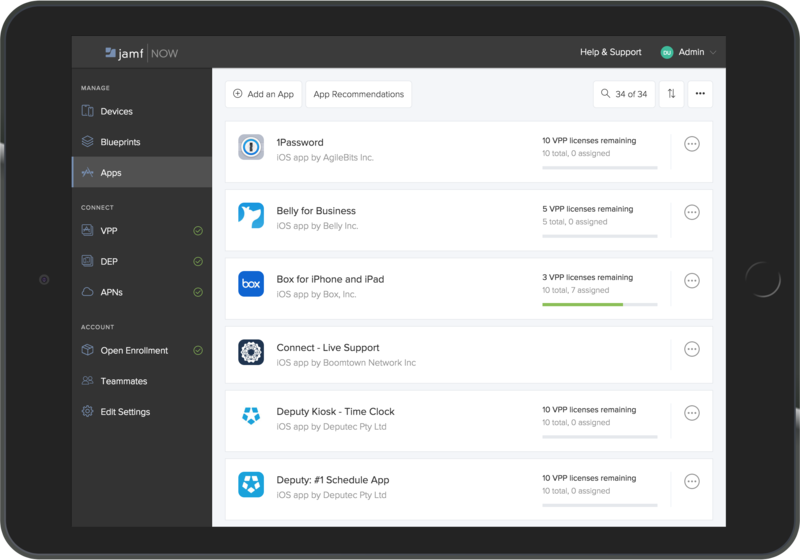 jamf Now is a cloud-based mobile device management (MDM) solution for the iPads, iPhones, and Macs in your workplace. 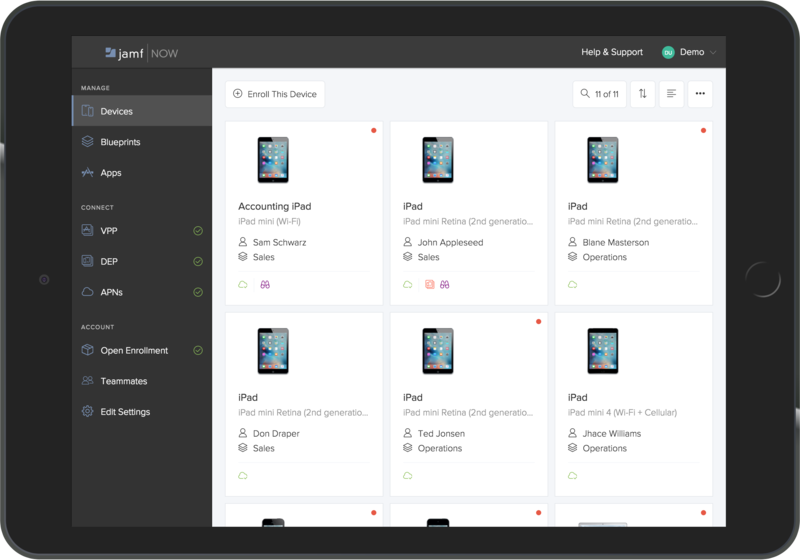 Device management is fast, accessible and affordable, so you can support your users without help from IT. jamf helps organizations succeed with Apple. By enabling IT and business leaders to empower end users, we bring the legendary Apple experience to businesses, education and government organizations. 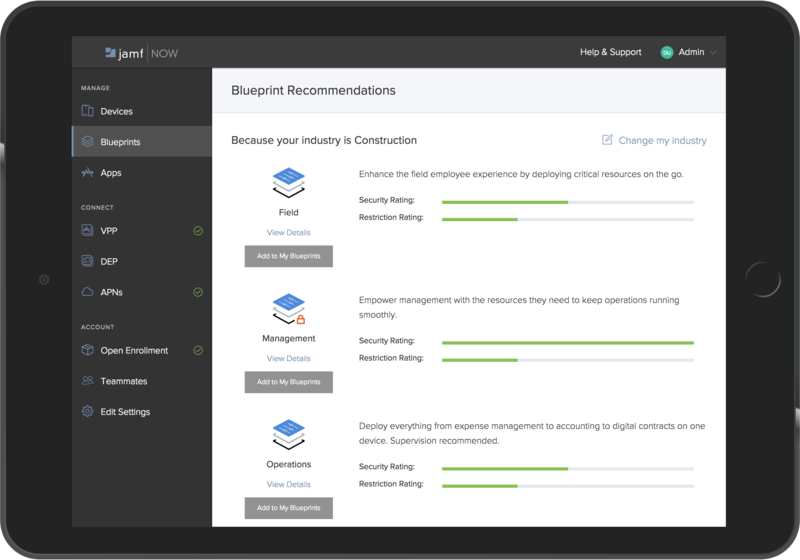 jamf now empowers construction companies to more easily set up, manage, and secure their Apple hardware. Integrations with Apple’s Device Enrollment Program (DEP) and Volume Purchase Program (VPP) help you configure hardware before it even arrives at your office, or even the job site. Intuitive security and restrictions.